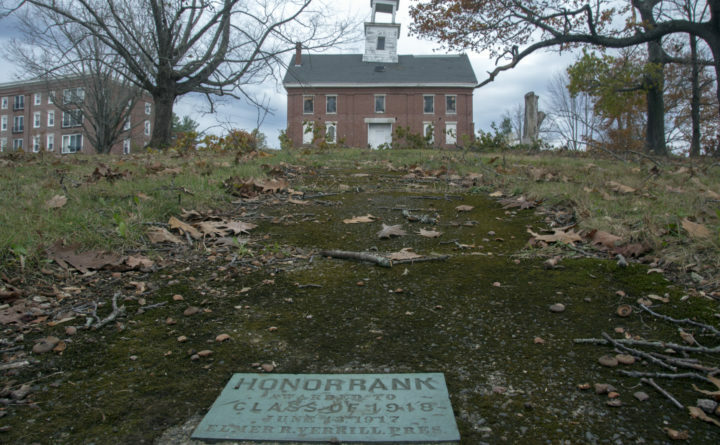 Bucksport’s leaders have tentatively approved a plan to revitalize a pre-Civil War seminary that once again faced the prospect of demolition. The Town Council voted unanimously Thursday to have Town Manager Susan Lessard pursue a purchase-and-sale agreement that would allow developer Larry Wahl to buy Wilson Hall for $1 and convert it into an apartment building. The deal would include a $65,000, interest-free, forgivable loan to “help defray the significant cost of restoration,” Wahl wrote in his one-page proposal to the council. Several residents protested the loan conditions as risky and unwise, and councilors responded by directing Lessard to ensure that the agreement contains immediate deadlines for particular work, such as the restoration of the building’s leaky roof, and to ensure that Wahl gets the money only when that work is about to be done. The owner of Wahl’s Dairy Port on Main Street, Wahl said the forgivable loan would be a better alternative than to have the town spend the $43,000 he estimated it would take to demolish the building, $2,000 to dispose of asbestos within it and $20,000 to turn the property into a park or other public space. The proposal councilors tentatively endorsed would restore the town-owned building to Bucksport’s tax rolls, from which it was removed in 2010, upon completion of the sale. It would also require Wahl to pay the loan in full if he sells the building within five years, Lessard said. A former Methodist seminary building on Franklin Street, Wilson Hall predates the Civil War and is listed on the National Registry of Historic Places and on a state list of endangered historic properties. But the building has fallen into disrepair despite efforts to repurpose it over the past 20 years. Besides the building’s leaky roof, many of its supports are rotting, and the latest effort to convert it into an elder care facility failed for a lack of financing. As part of the deal, Wahl said he would use the loan and possibly his own funds to either raze the building or restore the building’s roof, electrical service and floors. He would install new windows, repair the damaged southwest corner of the foundation and improve the building’s grounds. Lessard said she hoped to have a finalized agreement back to the council for a vote in time for its Jan. 24 meeting.